It’s the middle of June. The 2016 NBA Finals are in full swing, and even when there’s not a game on, there’s game analysis on a flat screen. Stephen Curry’s Golden State Warriors and LeBron James’ Cleveland Cavaliers are in epic combat for world supremacy. But in Nia Long’s household, she wins the remote control war — easily. 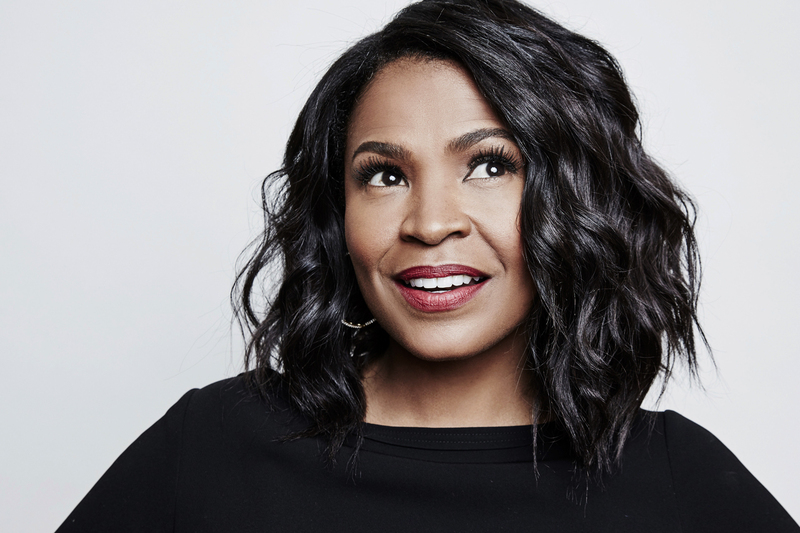 Her new ABC comedy, Uncle Buck — she co-stars with Mike Epps — premieres on June 14. It happens to be an off-night for the NBA, but Long is engaged to “notable” San Antonio Spurs assistant coach (and former Spurs player) Ime Udoka, who surely wants to soak up all NBA everything. His fiancee, though, is front and center on a major network. And there’s more cause for celebration — Long has been famous for 25 years this summer. Even she can’t quite process that 2 1/2 decades have gone by since John Singleton introduced the world to South Central Los Angeles in his gripping Boyz N The Hood. The 1991 film launched the superstar acting careers of Ice Cube, Angela Bassett, Cuba Gooding Jr., Morris Chestnut and Long herself. In it she delivered Brandi, who was girl-next-door perfection. It was the beginning of a long line of roles in which she was the classic bring-home-to-mom girlfriend. Nobody doesn’t love Nia Long. The fact that she’s been relevant all this time, and is still — still! — slaying on magazine covers like this 2010 Monarch cover, this 2011 Ebony cover and this 2012 Essence cover even when she isn’t promoting a project is nothing short of amazing. Staying top of mind in Hollywood when there aren’t a wealth of projects designed for her undeniably black aesthetic? It is a huge victory in a world where classic American beauty is still defined by the Jennifer Lawrences — young, white and blond women — of the world. For the longest time, she’s sustained. Nitara Carlynn Long was born in Brooklyn, New York, and relocated to Los Angeles with her mom Talita when she was 7. Long’s acting coach was Betty Bridges (mother of actor Todd Bridges) and Long landed one of her first roles in 1986 as a guest on 227, the comedy series starring future Boyz N the Hood castmate Regina King. Long is a mother of two boys—Massai Zhivago Dorsey II, 15, and 4-year-old Kez Sunday Udoka — and she’s been engaged to Udoka since last year. They manage homes in Los Angeles and Texas (during basketball season) and her Spurs fandom runs rampant. Nia Long of ABC Network’s ‘Uncle Buck’ poses in the Getty Images Portrait Studio at the 2016 Winter Television Critics Association press tour at the Langham Hotel on January 9, 2016 in Pasadena, California. Long had a career before Boyz N The Hood — most notably in Guiding Light as Kathryn (Kat) Speakes, which started in 1991, before Boyz. She said she was on top of the world, depositing a $2,500 check every two weeks — “I thought I was rich!” — and rocking a coveted three-year contract that gave her a regular presence on daytime TV. But real fame didn’t come until she became Catholic schoolgirl-next-door Brandi in Boyz, a character who was contemplating losing her virginity to her sweetheart Trey (Gooding Jr.). Boyz N the Hood earned director Singleton an Oscar nomination at age 23, making him the first African-American and the youngest person to have ever been nominated for a directing Oscar. And Long’s representation in the film influenced a generation. Youthful Gen X’ers from the ’hood to the sticks to the suburbs found themselves relating to her/Brandi’s balance of being the model student/child and wanting to give in, let go and give it up. She lived in a working-class black neighborhood that often fell prey to violence, but she had aspirations of going to Spelman College, and of not becoming another teen mom statistic. As Brandi, Long was every brown boy’s crush. Sounds a lot like Long, herself. Long is humble, but beauty is serious business in Hollywood, and it’s easy for female actors to get pushed into a corner and become The Girlfriend, The Wife, The Lover and nothing more. Pushing past the pretty is an Olympic-sized hurdle, and Long has managed to remix her career to find substantive female characters who offer more than a flawless face, perfect smile and banging body. Long brought jazz-loving out-of-work photographer Nina Mosely to life in 1997’s Love Jones. The romantic drama follows a would-be perfect couple who struggle (and struggle!) to make it work. Love Jones is the standard-bearer for classic and rare black romances such as 2000’s Love & Basketball — another film that fought hard to portray educated black folks living their lives and daring to fall in love while doing so. Love Jones was also important because it was one of the only 1990s black films that reflected black life without violence or “urban” strife. These folks — Darius Lovehall (Larenz Tate), Nina, Hollywood (Bill Bellamy), Savon (Isaiah Washington) and Josie (Lisa Nicole Carson) — were perfectly imperfect. They loved poetry, they smoked cigarettes, and took part in enlightened, spirited conversations. It was jarring in the best way possible to see 20-something black folks be 20-something black folks. Drinking wine at the bar, loving poet Sonia Sanchez and trying to figure out how to make relationships work. Kanye West rapped in 2005’s Touch The Sky about being unable to keep it home / I thought I needed a Nia Long. Larenz Tate and Nia Long having a romantic walk in a scene from the film ‘Love Jones’, 1997. Smartly, Long’s body of work has been varied. She’s had roles in major projects such as 2000’s hilarious Big Momma’s House, indie films such as 2000’s dramatic Boiler Room, cable TV projects such as Showtime’s critically acclaimed House of Lies (with Tate again), network TV shows such as Fresh Prince of Bel-Air where she was Will Smith’s girlfriend and significant cable movies like HBO’s impactful If These Walls Could Talk 2. She’s picked characters that stick with you: The Best Man’s Jordan Armstrong is a stylish, career-driven journalist still in love with her would-be college fling and searching for someone who can live up to their intense, unrequited chemistry. The original The Best Man is another cult classic. And after much fan bemoaning, a sequel arrived 14 years later in 2013. Best Man Holiday — a comedic tearjerker — tore Hollywood up. It earned $10.7 million the Friday it opened, besting the mainstream Thor: The Dark World for the No. 1 spot that day. It became the No. 2 film that weekend, earning $30.6 million, and it ultimately collected more than $71.5 million — a major win for black stories at the box office. Once again, fans are waiting for the third film in the franchise, the previously announced Best Man Wedding. Black actors who are busy and who are in a position to negotiate? It’s a good problem to have. Long is philosophical about it all. Truth is, Long has grown up to be exactly who we might have imagined young Brandi from South Central would become: a woman with fourth-decade wisdom who finds insight from her youthful decisions.